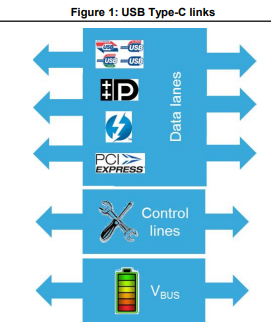 This application note describes a method and an example of synchronizing audio playback or audio recording with an upstream or downstream USB audio host, ensuring flawless audio listening or recording using only internal MCU resources. 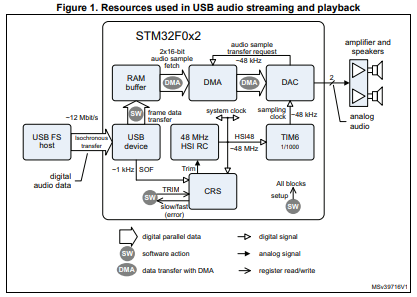 Focusing on specific properties of USB microcontrollers from the STM32F0 family, the application note describes how the CRS unit can be beneficially employed for USB audio streaming synchronization. In particular, it elaborates a method of HSI48 clock frequency trimming to compensate for timing differences due to independent USB host (computer) and device (STM32F0) clock domains. This entry was posted on July 22, 2018 by DP. This entry was posted on July 15, 2018 by DP. This document provides some guidelines about how to select the right thyristor, also referred to as “SCR”, according to the different applications. Some very specific cases could require a higher level of expertise to ensure reliable and efficient operation. 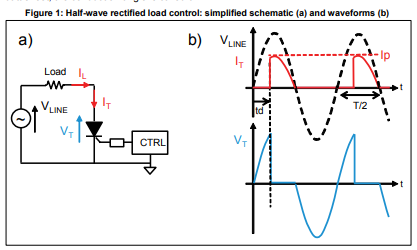 This document gives some key information about the design of the solid-state silicon AC switch stage of a hybrid relay, which can drive resistive, capacitive or inductive AC loads, such as: heater resistors, motors for industry, power tools or appliance applications. This entry was posted on May 6, 2018 by DP. App note: AC switches – Is a positive power supply mandatory for my application, or could a negative output work also? In this application note we explain the reasons why some appliance designers might choose a positive power supply. This selection is based mainly on the choice of switched mode power supply (SMPS). Some specific applications cases, may also lead to the choice of a positive power supply. Using a power supply with a positive output is not convenient for all applications. For example, a negative supply is preferred to drive AC switches. We provide here an alternative solution which allows a negative output to be implemented whenever possible. Further, many solutions allow both a negative and a positive output (for the microcontroller) to be implemented. The use of diodes in parallel is commonly found in power electronic design. An important consideration for this practice is the current sharing between diodes due to the difference of electrical characteristics. This application note highlights the cause of the behavior of several diodes are connected in parallel. Some recommendations will be given to help the designer to produce a safe design. An electro-thermal model is described which simulates the current and junction temperature of each diode for given application conditions. This tool is illustrated using an example. This entry was posted on March 4, 2018 by DP.